The flowers arrived and are terrific! I’m sharing a photo of the ones I bought for our 17th Anniversary and the new ones for the 18th. My wife Karen is delighted and so happy that these roses last so long... The new Eternity is now hanging on our wall. For years, Heinau Flowers worked with the hospitality industry to create one-of-a-kind floral centerpieces that look as fresh and stunning after six months as they do the day they arrive. Today, Blooms by Heinau offers everyone the opportunity to adorn their home or office with 100% natural, long-lasting, fresh-cut blooms —and the best part is there is no maintenance. 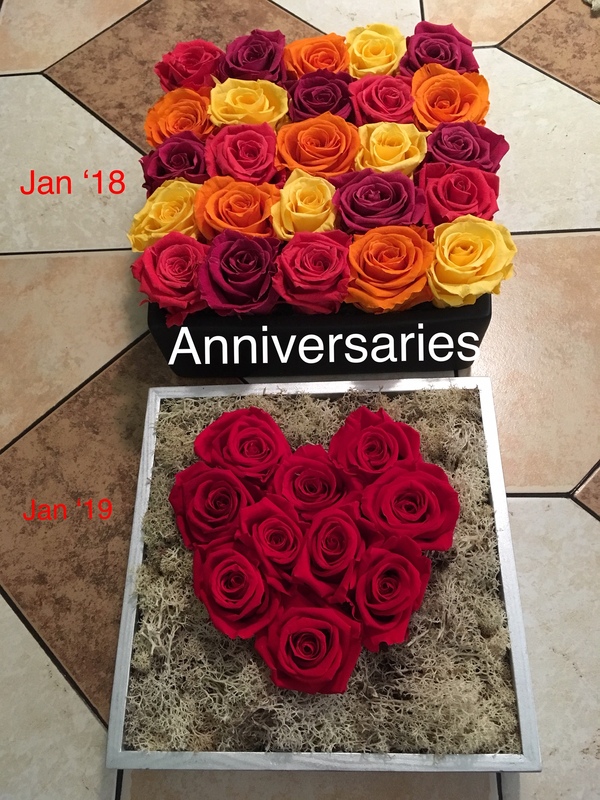 This young and talented blogger took the time to take inspirational picture of our gorgeous and one of a kind Simplicity arrangement filled with 25 long lasting roses. See some of the pictures below, follow her and visit her blog today! Read her blog and look at her amazing picture here. If you do not follow her already, you have to check her blog and Instagram account. For the second time this year, Katelyn Cheek has taken amazing pictures of our arrangements in beautiful and chic decor. See her latest pictures for the holidays! 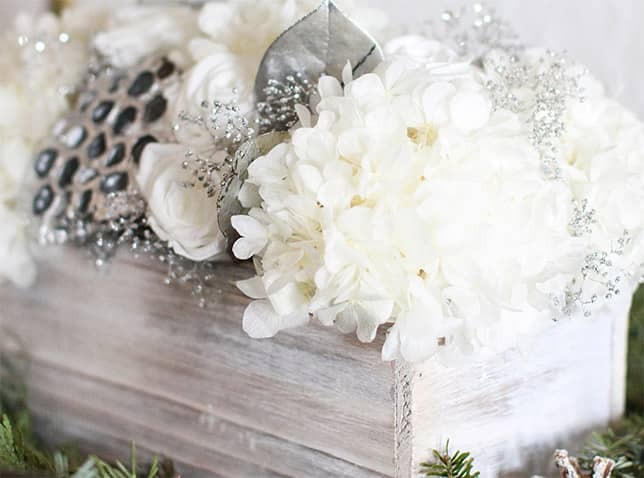 Read her latest Holidays blog post featuring Blooms by Heinau. Unique flowers to please a friend, colleague or a dearest family member. Lindsay Roberts from The Gift Insider features our Blooms By Heinau flowers this weekend as perfect and surprising gifts just in time for the holidays. Featured on WGN Chicago on December 5, 2015. 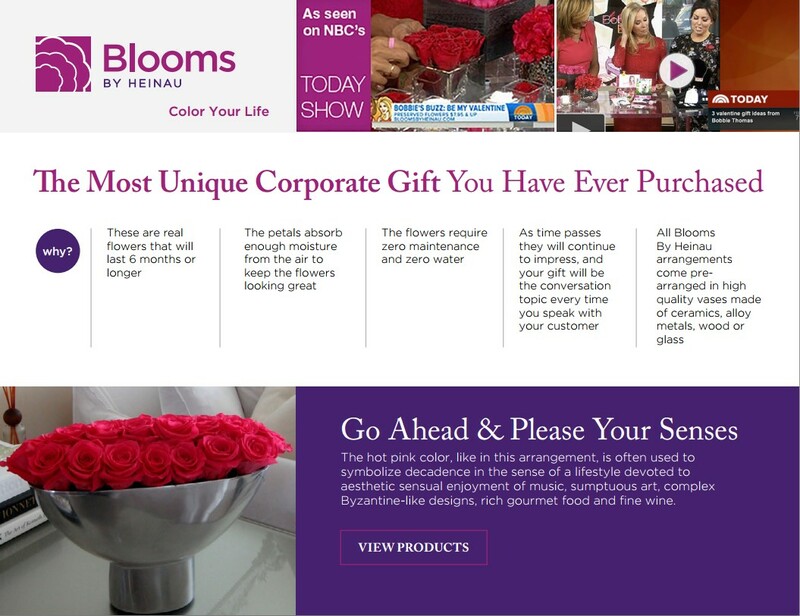 Lindsay Roberts from The Gift Insider has once again selected Blooms By Heinau Flowers as her top favorite corporate gifts for this holiday season. Featured on ABC Chicago on November 23, 2015. With so much to do this holiday season, it can be challenging to find the right gift for everyone on your list... but with Blooms by Heinau, you can find something for even the hardest to shop for. We have 10 good reasons for you to choose Blooms By Heinau has a unique gift this year. Couples spend months planning every detail of the day when they finally say “I do” and after a few hours when all their preparations come together, it’s over. 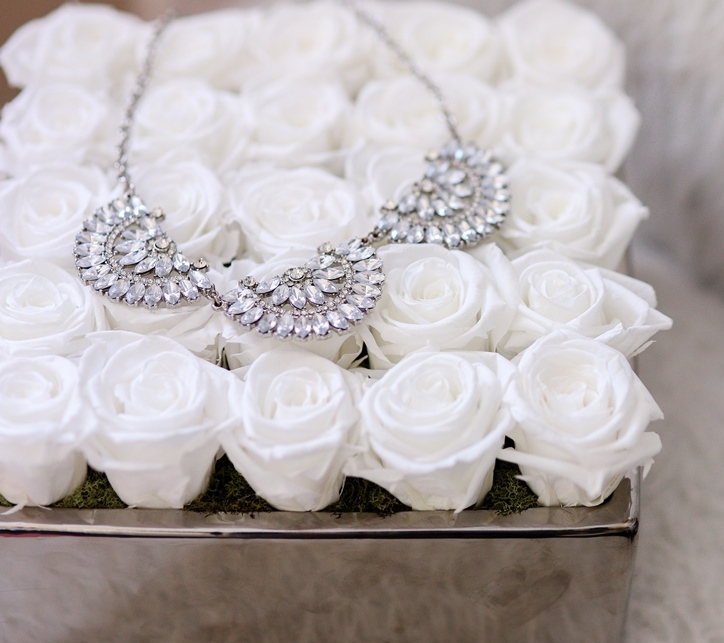 The memories and photographs from the big day will last a lifetime… and maybe the flowers can too.